Hand Press Citrus Juicer Just $59.99! Down From $100! PLUS FREE Shipping! 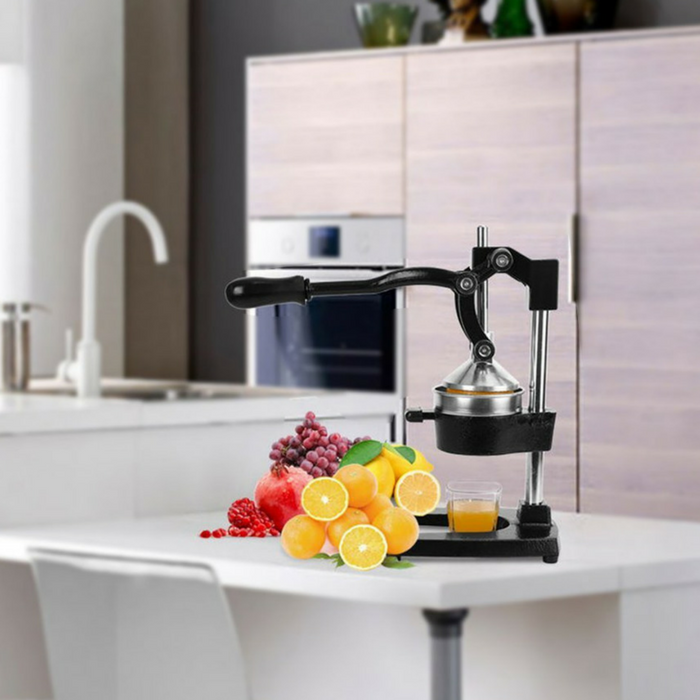 You are here: Home / Great Deals / Amazon Deals / Hand Press Citrus Juicer Just $59.99! Down From $100! PLUS FREE Shipping! At Amazon, you can score this Hand Press Citrus Juicer for just $59.99 down from $99.99 PLUS FREE shipping! This citrus juicer is great for squeezing juice without any pulp impurity out from pulpy fruit, like pomegranate, orange, grapefruit, lemon, etc. It has cast iron constructed body and pedestal – tougher and harder. The strainer cone and funnel are easily removed for easy cleaning. Healthy: American FDA admitted its security. Easy removed strainer cone and funnel for easy clean. Material: Cast iron, Stainless steel constructed body and pedestal, tougher and harder. Function: Great for squeezing juice without any pulp impurity out from pulpy fruit, like pomegranate, orange, citrus, lemon. Convenient: Thicken pedestal for easy-toppling. Gravity aided squeeze save labor.